Happy New Year Everyone! I had a quiet New Year's eve. I decided to join the Totally Useless SAL this year. Click on the picture above to join. Here are my Orts from last year. I did a lot of crafts so it filled up my vase. Then I added most of the silk flowers I got from last year to it. I love the way it looks. 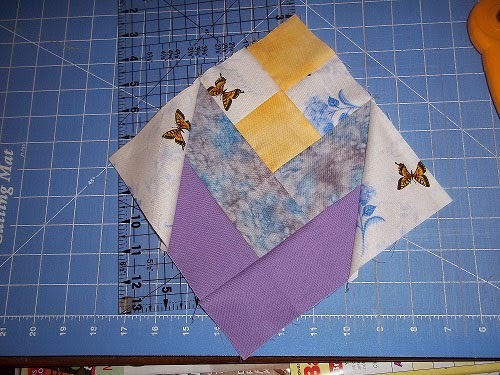 I'm working on the Quiltbug.com NYD mystery http://quiltbug.com/free/path.htm you can still get the patterns for now. Here are some picture of the Clues I've finished so far. Hope to finish it today or tomorrow I will post pictures when I'm done.